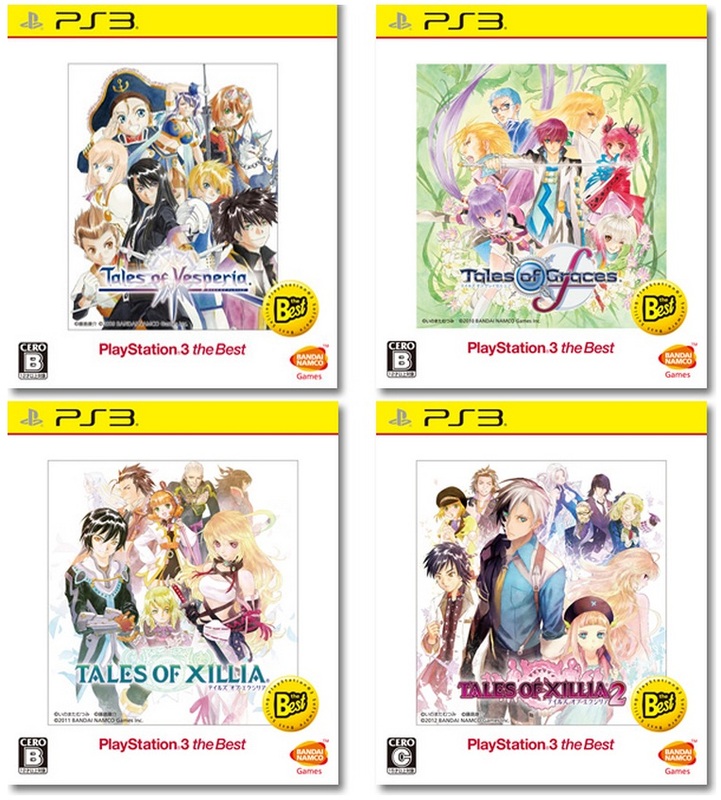 Tales of Xillia 2 is the 14th mothership title in the Tales series and is a direct sequel to Tales of Xillia. 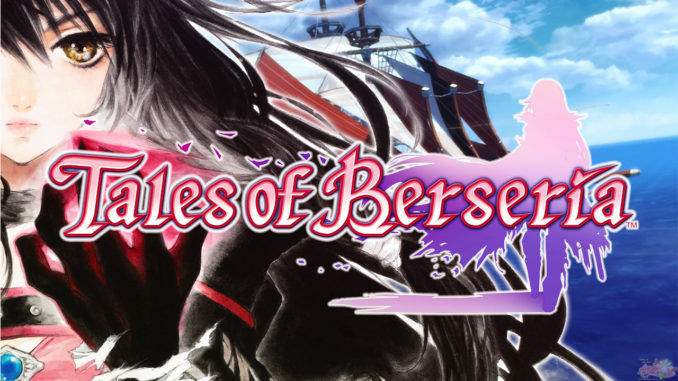 It was announced during Tales of Festival 2012 following a 19-day countdown and was released in Japan on November 1, 2012 for the Playstation 3. Localization was announced at Japan Expo 2013, leading to the game's release in North America and Europe in August 2014. Unlike other games in the Tales series, Tales of Xillia 2 includes a more modernized world and an episodic storytelling format where the plot and character-focused side quests are divided into chapters. The game features three character designers, a score by Motoi Sakuraba, and animation by ufotable. 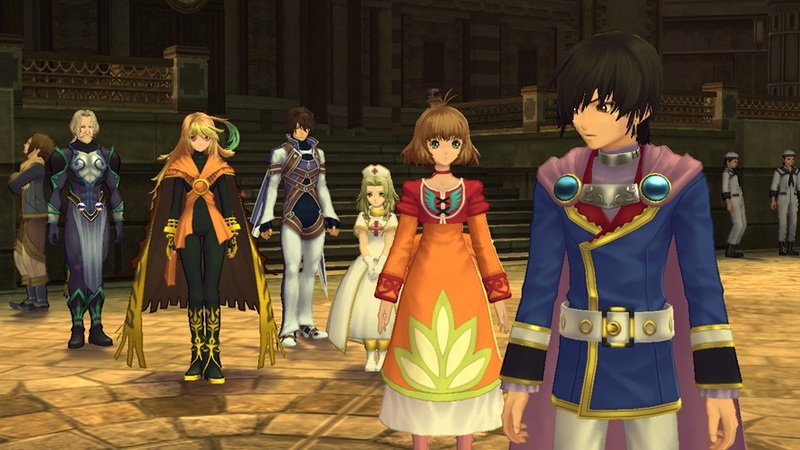 All of the playable characters from Tales of Xillia return in this game, in addition to three new characters. Its theme of choice was initially presented as "Are you determined to destroy the world for the sake of one girl?" 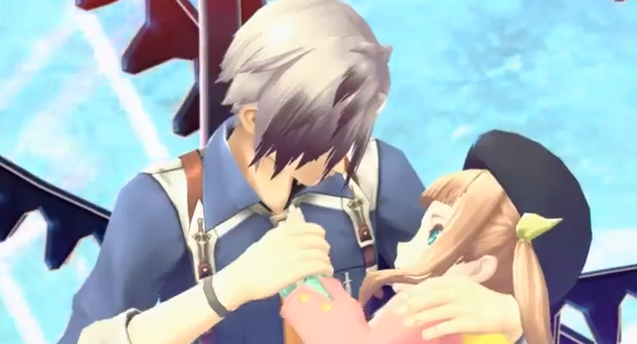 Unlike previous protagonists in the series, Ludger Will Kresnik is a mostly silent protagonist whose dialogue is entirely determined by player's choices. The game has multiple possible endings depending on choices and side content completion. 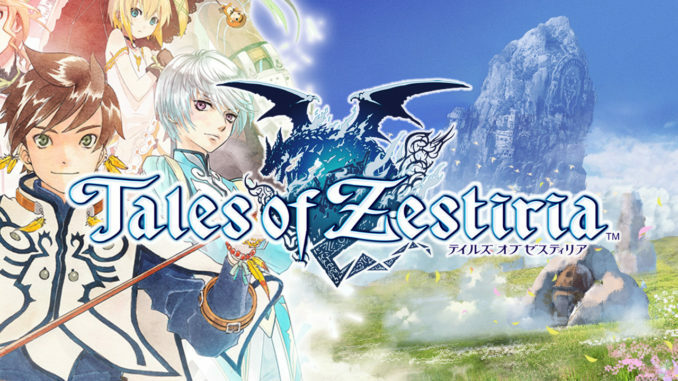 Tales of Xillia 2 takes place in Elympios and Rieze Maxia, two previously isolated worlds which were united after the schism (a magical barrier between them) was destroyed one year before the events of this game. Elympios is a modernized world with advanced technology, from medical advancements to trains to mobile phones, that is possible through the use of spyrix. Rieze Maxia, on the other hand, relies on spirit artes. Relations between the newly united worlds have not been smooth though, as cultural differences have strained efforts toward peace. Even in the cutthroat business culture of Elympios, the Spirius Corporation dominates nearly every field. Ludger’s brother, Julius, works as a Spirius agent and Ludger dreams of following in his footsteps. However, Spirius is not as mundane as it appears. Ludger discovers that the company’s agents are actually tasked with dealing with fractured dimensions, parallel worlds that must be destroyed. The spirit Origin, who has long purified the miasma from the worlds’ souls, can no longer sustain the overabundance of souls in all of the parallel worlds. As a Kresnik descendant, Ludger is one of the only people to possess the Chromatus power that can destroy the fractured dimensions. He and his friends must travel to the fractured dimensions to find and destroy their “divergence catalyst,” something so dramatically different from their own dimension that it caused a split into a parallel world. 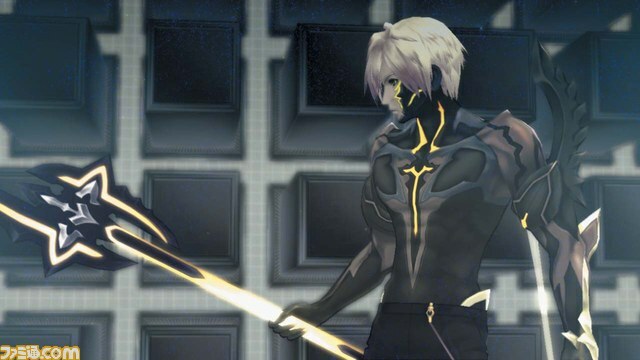 There are five distinctly different endings in Tales of Xillia 2. This is the “bad” ending. In Chapter 15, Ludger is faced with a difficult choice. In order to create a soul bridge to reach the land of Canaan, his beloved brother Julius must die. Julius is okay with this because he is dying anyway and wants his death to at least be meaningful. 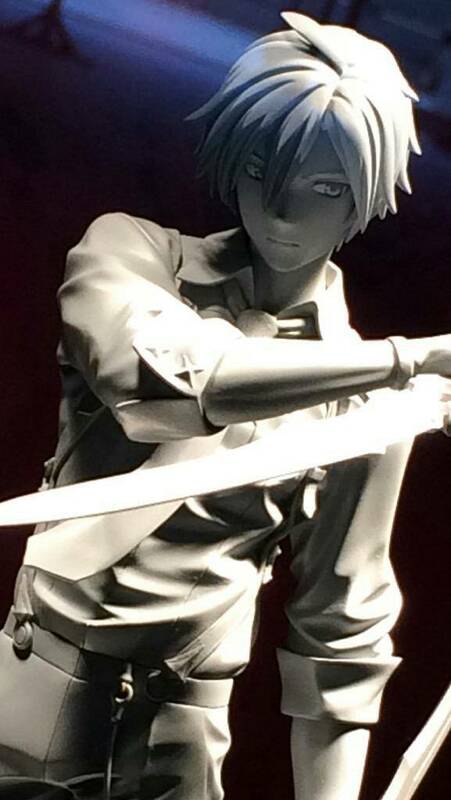 However, Ludger is reluctant to sacrifice his brother. If the player refuses to do so and instead chooses to protect Julius from the party, Ludger transforms into his Chromatus form and a battle against the other party members commences. Once Ludger kills all of his friends, he turns to Julius with blood on his face. Julius expresses shock that Ludger would throw away everything for his sake and then his gradual transformation into a divergence catalyst worsens. 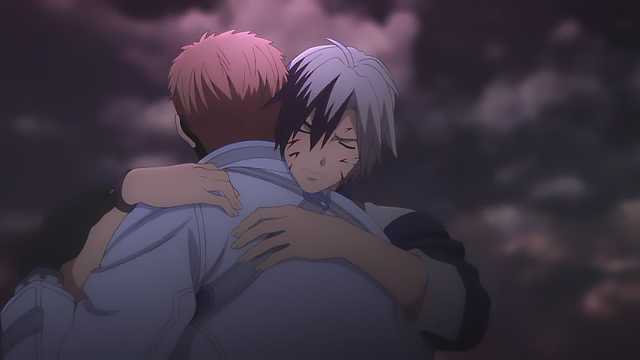 Ludger runs to him and the brothers embrace, as Julius admits that this may be the world he wanted all along. The game ends with Ludger and Julius walking away to spend their remaining time together. Ludger’s ending is the “normal” ending. At the very end of the game, Ludger must choose how to use Origin’s wish. If he chooses to eliminate the fractured dimensions rather than saving Elle, she fades away. 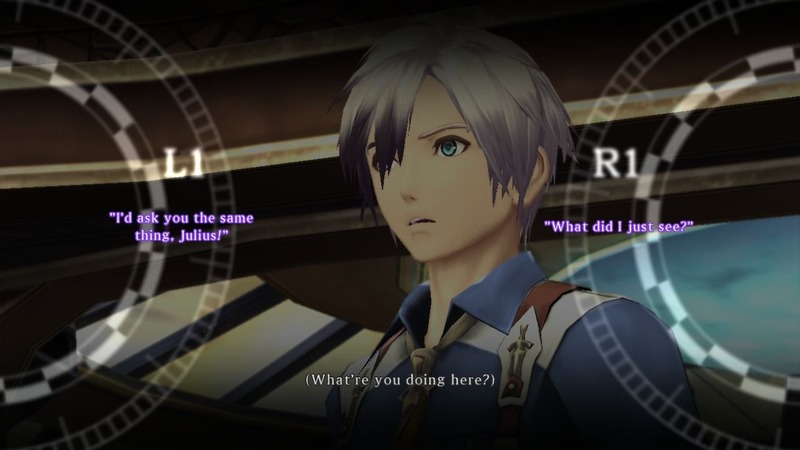 After the credits, Ludger is shown to be the President of Spirius Corp. As he is walking through headquarters with Vera, she tells him that he has a business meeting scheduled with a chairwoman named Lara Mel Marta. Recognizing this as Elle’s mother’s name, Ludger rushes to the meeting room. When Lara introduces herself, he begins to cry and she grows concerned. Ludger assures her that nothing is wrong and then the door closes as their meeting begins. Elle’s ending is the “true” ending, featuring a longer cutscene than the normal ending and more art during the credits. 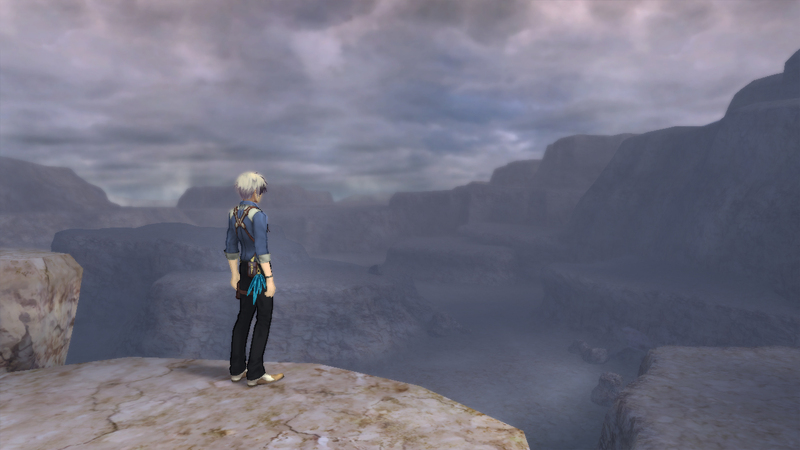 At the very end of the game, Ludger must choose how to use Origin’s wish. If he chooses to sacrifice himself to save Elle, he transforms into his Chromatus form. His friends promise to look after Elle, who promises to tell the truth, eat her tomatoes, and always remember him. Ludger just hums the Hymn of Proof. When he fades away, Elle’s transformation into a divergence catalyst is reversed. After the credits, teenage Elle is seen sitting beside an older and fluffier Rollo on a lakeside shore, eating a tomato while she browses her phone. Her clothing is clearly inspired by Ludger’s default attire. Musing about how everyone is moving up in the world, she reads an article about Dr. Jude Mathis winning a prize for his research and an article written by Chief Editor Leia Rolando about the establishment of a Rieze Maxian Assembly. 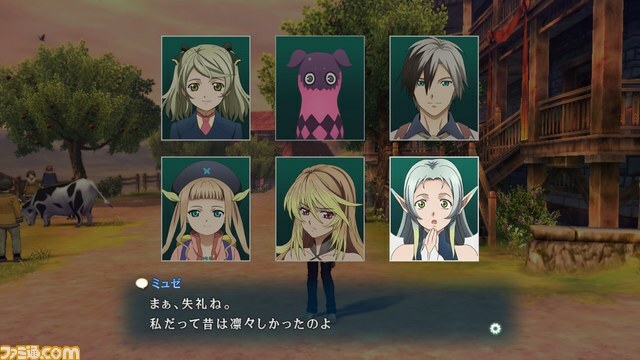 She receives a call from Alvin, who teases her about her height and asks her about a job, which she accepts and says that Elize will join them for. While she is talking, a little kitten who bears a strong resemblance to Rollo walks up. Elle says “Come on, Pollo! 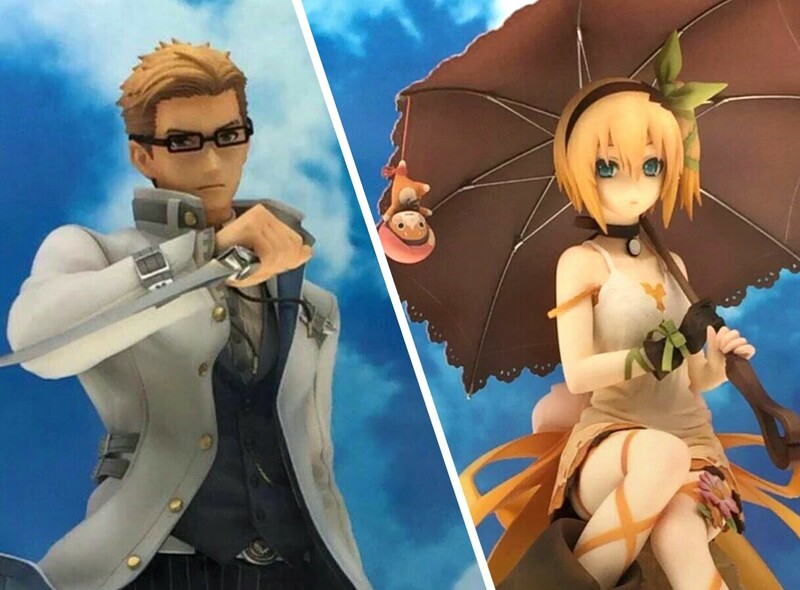 We’ve got a job!” and then stands for a moment, just holding Ludger’s pocket watch and feeling the wind on her face, before saying “Let’s go create a new world.” As she and Pollo walk away, Elle hums the Hymn of Proof. Rollo yawns and returns to his nap. Unlike the previous endings, this is a comedy/fanservice bonus ending rather than an actual plot ending. If Ludger’s 20 million gald debt is completely payed off, Nova invites everyone to the Celestial Hot Springs to celebrate. A animated cutscene shows the female characters relaxing in the hot spring. Muzét asks how the water is on the boys’ side and the camera pans to reveal a massive Teepo taking up the entire pool. While Teepo is quite relaxed, the rest of the male cast is trapped in the cramped space inside his stomach. Rowen reflects on the fact that he once commanded an army, yet has now ended up here. Rollo meows pitifully. Jude thinks he found a zipper, but Gaius strongly disagrees. The men then notice their towels gradually disintegrating as Teepo digests them. While their shouts are heard in the background, Milla remarks that as close as their friendship is, they’re not nearly close enough for a co-ed bath. The other women nod and then cheer for Ludger paying off his debt. The men give a much less enthusiastic cheer as the space inside Teepo grows more cramped. Teepo belches as the camera pans away. Like the Debt Repayment ending, this is a comedic bonus ending rather than an actual plot ending. Unlike all of the previous endings, this one does not include any anime cutscenes or even voiced scenes. 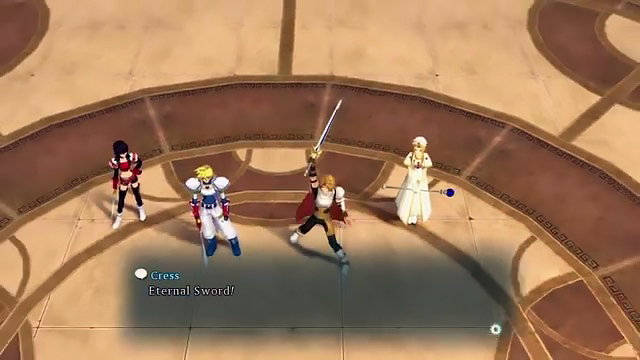 In the final battle of the coliseum, the party faces four cameo characters from classic Tales games: Cress and Mint from Tales of Phantasia, and Stahn and Rutee from Tales of Destiny. When they are defeated, Stahn remarks on the party’s resolve and asks why they fight. After hearing their explanation, Stahn declares that he won’t stand for “some bozo using a helpless little girl.” Rutee teases him about his “hero routine,” but they all agree that something must be done. Cress asks Ludger to leave Origin’s Trial to them. If Ludger agrees, Cress uses the Eternal Sword to travel to the Land of Canaan. Chronos and Bisley are confused by their sudden appearance, but are swiftly defeated by Time Stop from Mint, Final Embrace from Rutee, Phoenix from Stahn, and Final Justice from Cress. The scene cuts back to the coliseum, where Mint reports that Elle has been rescued. Rutee was not impressed by the fight and Stahn replies with a pun: “‘Canaan?’ More like ‘Can-‘n-Saw-‘n-Conquered!” Cress is annoyed that Stahn beat him to the pun. 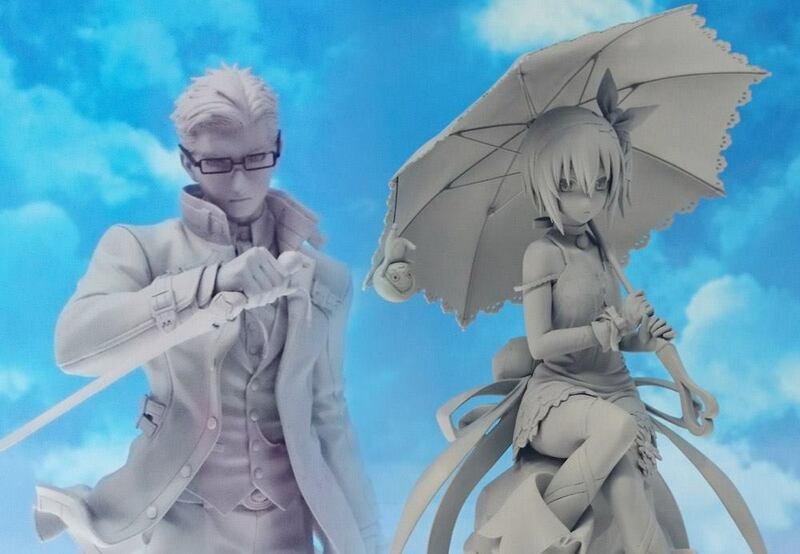 Elle wonders if this is really what Ludger wants. Tales of Xillia 2 has a very similar battle system to its predecessor, but with some significant changes. New playable characters bring their own unique movesets and mechanics. Due to the larger cast, benched characters can no longer be actively swapped in mid-battle. However, the linking system has been improved with linked spellcaster partners now able to support the player character with spells from a distance rather than automatically following them and attacking in melee. 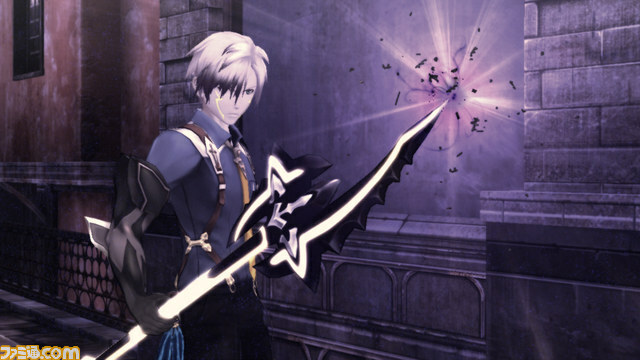 Ludger also brings the Weapon Swap and Chromatus Transformation battle mechanics, which are unique to Tales of Xillia 2. 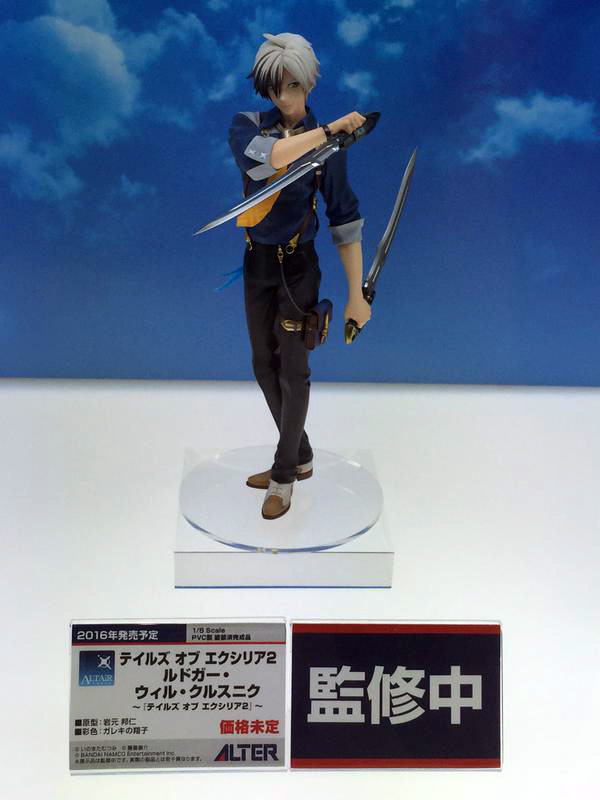 Ludger has three types of weapons: dual blades, dual pistols, and a sledgehammer. He can switch between these mid-battle, even in the middle of a combo or Linked Arte. Swapping weapons changes Ludger’s damage type, available artes, and fighting style. The dual blades are generally best against incoming foes, the sledgehammer hits a wide area, and the dual pistols can attack at range. Utilizing the weapon swap feature allows Ludger to quickly adapt to any changing battle conditions. The AC counter determines how long a combo can last. Normal attacks, artes, and continuous quick-steps all cost 1 AC. (The first quick-step is free though, so AC is only used on subsequent quick-steps in a chain.) Linked artes do not require any AC. AC is refilled when the character is either standing still, guarding, or free running, but it cannot refill if the character is actively being attacked or is in mid-air. All attacks have a damage type, ranging from the standard elements (Fire, Water, Wind, Earth, Light, and Dark) to types of physical damage (Slashing, Strike, and Shot). The only exceptions are mystic artes and attacks that Ludger uses while transformed into his Chromatus form. Damage types are important for increasing damage, inflicting ailments, and avoiding resistances. If an enemy is resistant to a damage type, any attacks with that type will not reduce its Iron Stance and will not do as much damage as normal. If an enemy is weak to a damage type, attacks with that type will do more damage and be easier to combo. 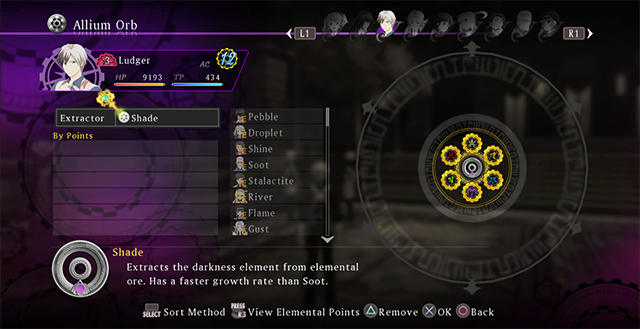 Like its predecessor, Tales of Xillia 2 allows party members to link together to support each other and use powerful Linked Artes. When two characters are linked, the Link Gauge fills with every hit. The gauge is divided into five segments. When a segment is filled, a Linked Arte can be used. The next segment will not begin to fill until a Linked Arte has been performed. When a player performs an arte while linked, an icon may appear to indicate that a Linked Arte can be performed. When a Linked Arte is performed after the final segment of the Link Gauge is filled, the player will enter Over Limit. Unlike Tales of Xillia, however, Tales of Xillia 2 allows any two artes to be used to perform a generic Linked Arte. These common Linked Artes have four types: Cannon (projectile), Pillar (bashing), Charge (lunging), and Edge (sweeping area effect). The type and element depend on who the linked partners are. When specific artes are used, however, a Unique Linked Arte can be performed instead. This functions more like Linked Artes in Tales of Xillia, with each Unique Linked Arte having its own conditions, name, and animation. During Over Limit, a linked character with the Special skill equipped can perform a mystic arte. 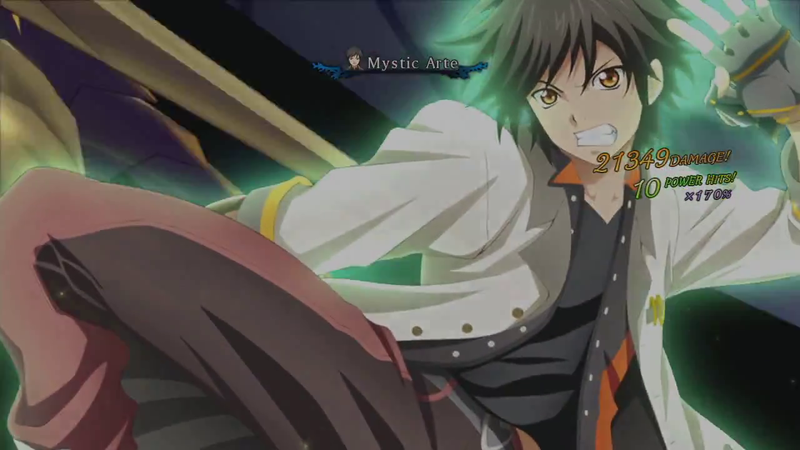 Mystic artes feature a special cut-in anime image and a unique animation. On a more practical note, these attacks do a lot of damage, always hit, and do not have a damage type. This allows them to do massive damage even to enemies that resist most damage types. 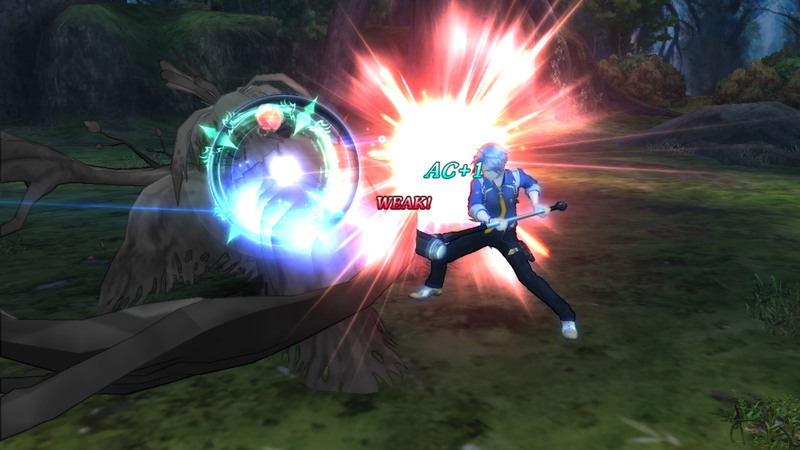 In Chapter 6, Ludger gains the ability to transform into his Chromatus form during battle. When the transformation mode is activated, Ludger’s combat abilities are greatly enhanced and he cannot die. Ludger also cannot be staggered or take damage during this mode, but any damage he would normally take will instead reduce the time that the transformation mode is active. If no damage would be taken, the transformation lasts for 20 seconds. To activate the transformation mode, the Chromatus Gauge must have at least one bar full, Ludger cannot be currently KO’d, and the enemy cannot be in the middle of a mystic arte. This gauge only appears when Ludger is participating in combat. It fills one bar after 40 seconds of combat, but any time spend free running or KO’d does not count toward this total. There are a total of four stages of the Chromatus, which are unlocked in Chapter 6, Chapter 8/9, Chapter 15, and Chapter 16 respectively. The power of the Chromatus transformation depends on how many bars are used when it is activated. 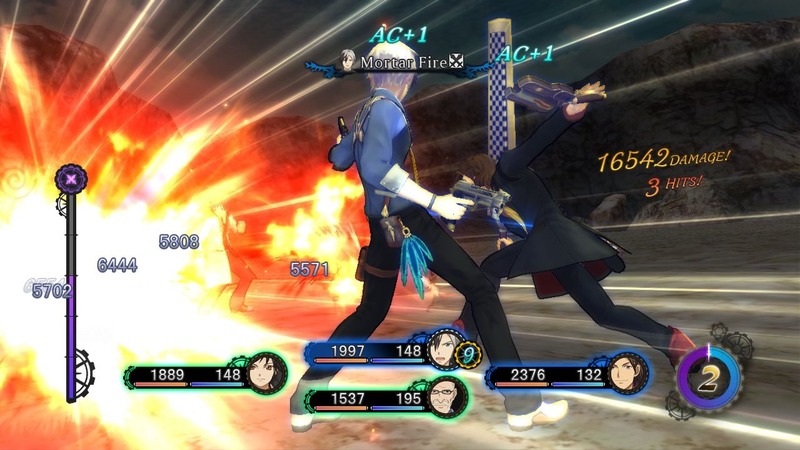 Ludger has completely different attacks and artes during this mode, all of which do not have a damage type. The Chromatus does not have AC or TP so combos can be chained freely. Most movement is unchanged, but frontsteps can warp Ludger directly to his target. In general, any attacks and artes that Ludger can perform during his transformation are more powerful, faster, and have a wider range. If two or more bars of the Chromatus Gauge are used, Ludger can end the transformation mode by performing a special mystic arte. A new, more powerful mystic arte is available when four bars are used. 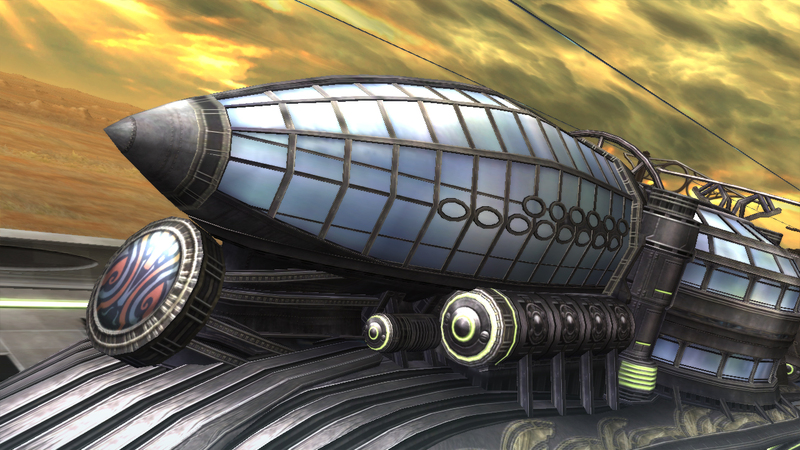 Just like Tales of Xillia, Tales of Xillia 2 does not have an abstract world map, but instead seamlessly connects fields, towns, and dungeons into a 1:1 scale, allowing for more explorable areas. You can view a map of the world by pressing R3, however, which allows the player to fast travel to any town, field, or dungeon in the Prime Dimension later in the game. Skits in Tales of Xillia 2 function similarly to skits in many previous Tales games. When a prompt appears in the corner, the player can press Select to view the skit. 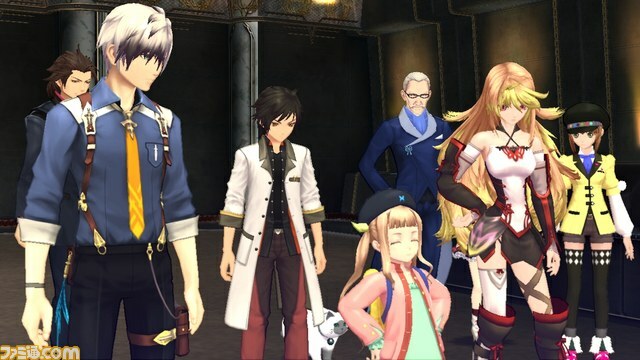 While previous games mostly used skits to elaborate on plot events or provide humorous interludes, they actually serve a specific gameplay purpose in Tales of Xillia 2 by integrating some of its other new systems. In some skits, Ludger is faced with a choice between two responses to the conversation. 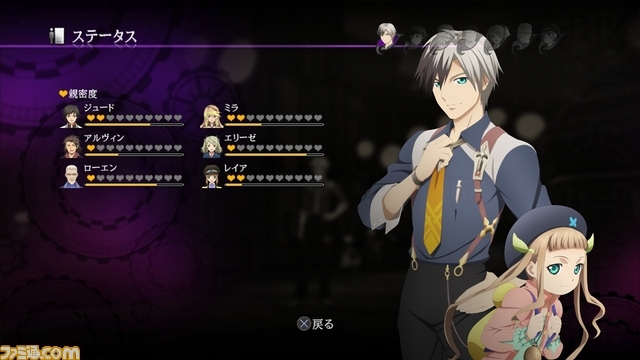 Depending on the player’s choice, the other characters participating in the skit may have their affinity with Ludger increase. Past skits can be viewed in the Skits section of the Library menu, but affinity is only gained the first time the skit is viewed during normal gameplay. Throughout the game, Ludger is faced with choices. These can be as simple as picking a witty comeback in a lighthearted skit, or as serious as making a decision that changes the fate of the world. Every choice will only have two options, which can be selected with L1 and R1. 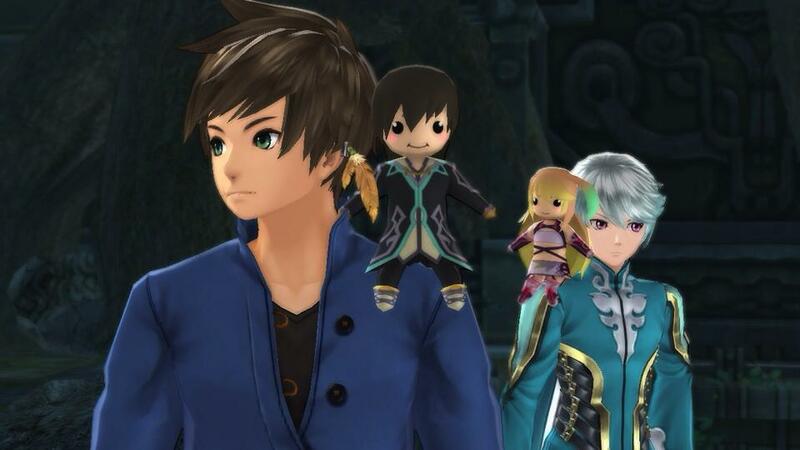 Choices can affect events in the story progression, characters’ affinity with Ludger, and even the game’s ending. When a choice is selected that raises a character’s affinity, an icon of that character’s face will briefly appear after the choice is made. Some especially important choices actually have a time limit so that the player feels the same sense of urgency as Ludger. If no choice is selected when the time limit expires, the left option will automatically be selected. In New Game+, a check mark will appear next to each option that was chosen on the previous playthrough to make it easier to identify new choices. In addition, there is an option in the grade shop that allows Ludger’s voice to read each choice during New Game+. 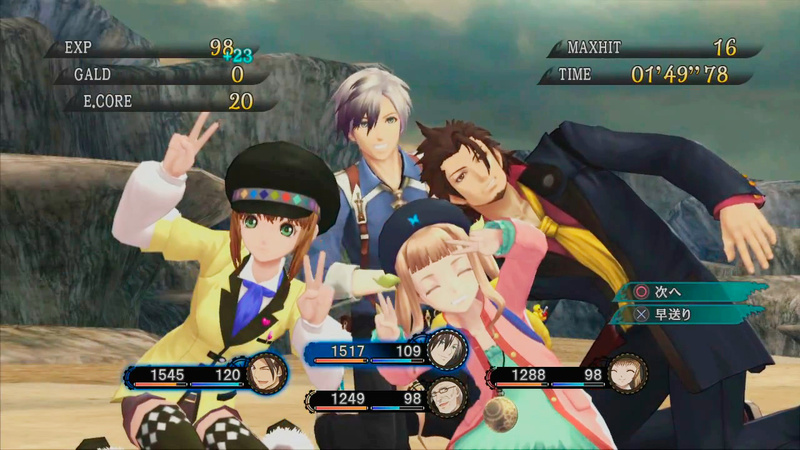 Ludger can build up affinity with all of the other playable characters, as well as Elle, Julius, and Bisley. The playable characters’ affinity can be checked in the menu. Their affinity can be increased by playing through their Character Episodes, linking with them in battle, and choosing favorable conversation options for each character in both the main story and skits. The NPCs’ affinity is hidden and can only be raised through dialogue choices though. 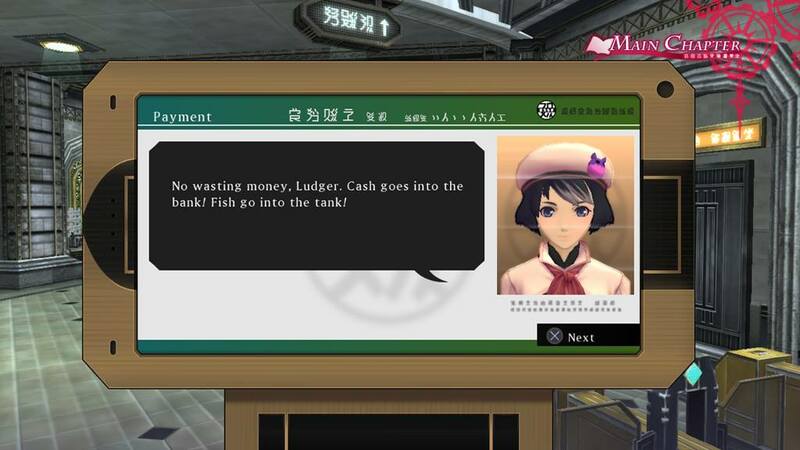 Ludger faces a massive debt that must be paid off in increments. Nova will frequently call him to remind him to make payments, which are necessary to proceed to the next chapter in the game. Debt can be paid by talking to Nova in these calls or by pressing L2 to call her. Paying more than is necessary for a particular chapter will not reduce the payment in the following chapter, but it will result in bonus items. After Chapter 14, Nova will stop calling and further debt repayment becomes optional. Extractors can be obtained as quest rewards, in treasure chests, in the poker minigame, as custom order items from shops, and by defeating certain bosses. The most powerful extractors can affect multiple elements at once and also allow skills and artes to be learned faster. They can be freely switched between characters. When an already known arte is learned through the Allium Orb, it becomes more powerful through either increased damage, new effects, or a reduced TP cost. Artes can be improved up to four times, but artes that were learned through other artes cannot be improved using the Allium Orb. Like Tales of Xillia, you can equip costumes and fashion accessories in the Equipment menu, along with weapons, armor, etc. 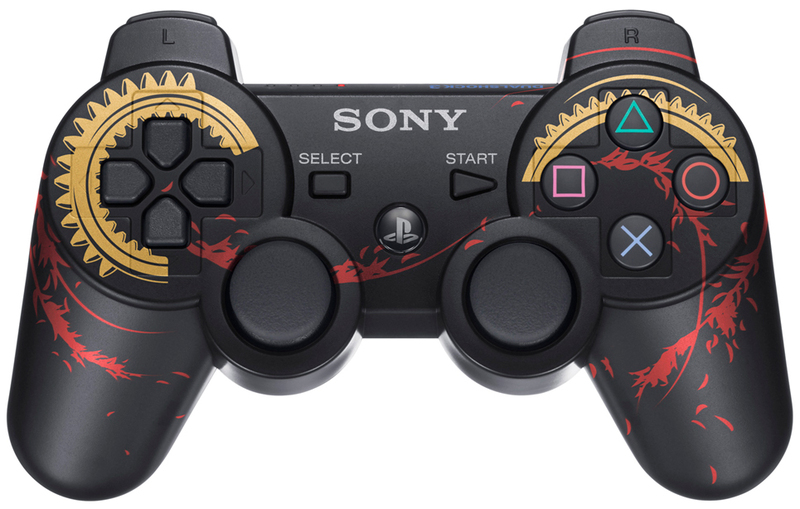 The main difference between the two games’ equipment systems is that Tales of Xillia 2 utilizes a customization system instead of requiring the player to level up all shops to obtain the game’s strongest equipment. Tales of Xillia 2’s shops actually function the same as shops in most Tales games, with different purchasable items in each town. However, the Custom Order system has a shared inventory between all shops and new items are added to this list as the game progresses. Custom Orders differ from a shop’s regular purchasable items in that a specific list of materials must be paid in addition to the regular gald cost. When Ludger’s neighbor loses her 100 pet cats, the Kitty Dispatch system is introduced to find the missing felines. The cats are hidden in various locations throughout the game, but no cats are located in fractured dimensions or any other area that cannot be returned to. Kitty Dispatch missions become more effective as more cats are found and there is also a reward for finding all 100 cats. 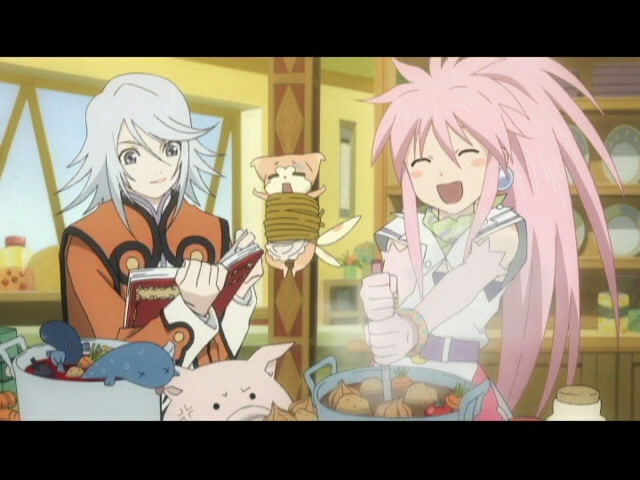 Some of the cats have unusual coloring and names as a callback to other Tales characters. However, not all of these references are clear in the translation (i.e. Stallone instead of Stahn). Any cats that have been found can be sent on a Kitty Dispatch mission to a designated area to search for item. Sometimes they will even return with new cats, as 23 of the 100 cats can only be found by other cats on dispatch missions. A timer for the dispatch will be displayed so that the player knows when the cats will return with any items they have collected. Every area has 5-6 items, plus an attachment or weapon that the cats will only bring back once all but one of the regular items has been found. When the cats are sent out on a dispatch mission, they can be sent with an item that either reduces the time of the mission or increases the odds of them returning with a rare item. 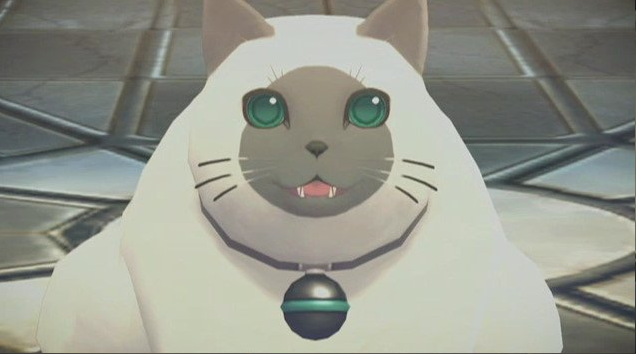 The only true minigame in Tales of Xillia 2 is a poker game that can be played in the Film Noir bar in Duval after a tengu mask is obtained from a cat. 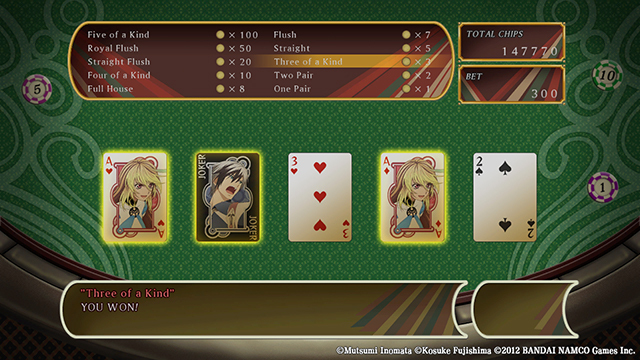 The main cast is represented as the faces on various cards in this game, with Ludger and Elle appearing on Jokers that function as wild cards. After winning a round of poker, the player is given a chance to try to double their winnings by guessing whether a drawn card will be higher or lower than the one presented. This bonus can multiply up to eight times, providing one of the best methods for quickly accumulating gald to pay off Ludger’s debt. Every town has a Job Bulletin Board, which lists a variety of optional quests. The job listings are color-coded. Red jobs have fixed objectives and rewards and generally are added at the start of a new chapter. White jobs are randomly generated and are replaced every 30 minutes. Up to five jobs can be accepted at a time. In order to accept some jobs, the party must have a particular job title. In addition to gald and items, job completion is rewarded with quest points, which must be accumulated to earn better job titles to take on tougher red jobs. When a job is completed, it can be reported at a Job Bulletin Board to get the rewards. New jobs can be accepted throughout the game, but only in the Prime Dimension. There are four types of quests available at a Job Bulletin Board: event, monster hunting, item delivery, and elite monster. Event quests generally involve finding an item and bringing it to a specific NPC, who will give the player another item to turn in at the Job Bulletin Board to complete the job and receive a reward. Monster hunting quests just require a certain number of a specified monster to be killed. (Previous kills do not count toward this total.) Item delivery quests just need a particular quantity of a specified item to be brought to the Job Bulletin Board. Finally, elite monster quests require the party to defeat an unusually strong unique enemy. After the game is completed, even tougher EX versions of the elite monster quests will appear on the Job Bulletin Board. 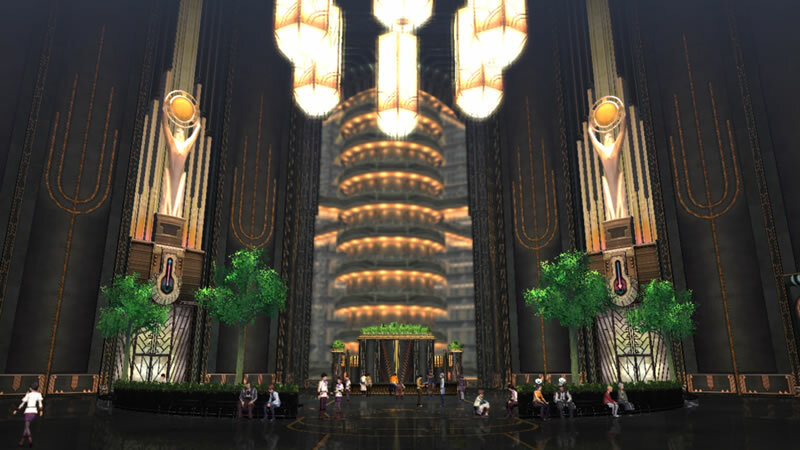 After the game is completed via either the Ludger or Elle Ending, an optional bonus dungeon called Illusionary Darkness appears in a warehouse in Drellin’s Central Plaza. Ludger must be a party member to enter this dungeon and the other three characters must each have at least 8 hearts of affinity with him. (Upon completing the game, the player is given the Bonds of Shadow item, which can be equipped to one character to waive the affinity requirement.) Illusionary Darkness consists mainly of puzzles and fights with shadows of regular enemies from throughout the game. The bosses at the end of the dungeon vary depending on which doors you go through, but are always powerful shadow versions of player characters or major NPCs.